Steaming is used to cook rice in many parts of the world. This method usually results in tender, fluffy rice provided you adhere to a precise water-to-rice measurement ratio. Boiling, another way to prepare this food, is sometimes better, depending on the variety of rice you use and the kind of flavor you want. Always wash rice several times before cooking it. Imported rice varieties have surface starches on them from processing. Washing will make these types of rice fluffier and less sticky when they are cooked. Washing will also remove impurities. 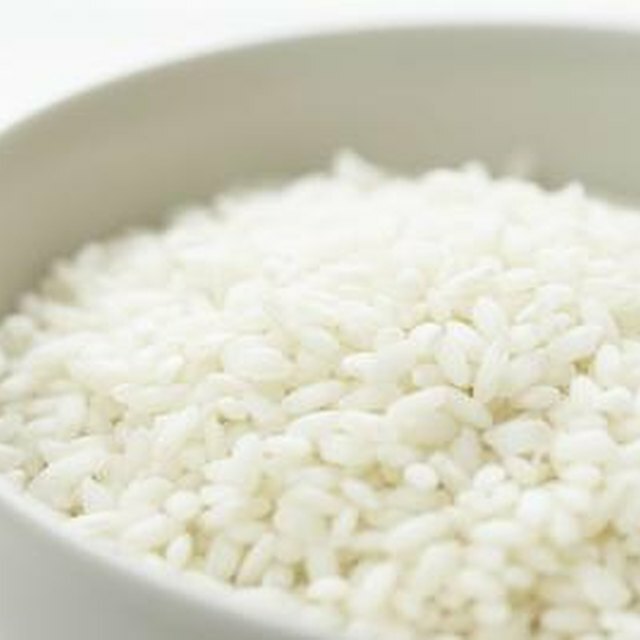 The process of steaming rice is essentially the same whether you prepare it in a rice cooker or in a pot on the stove. One cup of rice usually requires 2 cups of water. Cover it. The water boils and generates steam, and the steam gradually cooks the rice. So to some extent, steaming rice involves boiling, but the steam is what cooks the rice through and gives it a soft and fluffy texture. When the rice is fully cooked, serve it straight out of the rice cooker or pot. Add enough water to completely submerge the rice. Ensure that there is always enough water to keep the rice boiling until it reaches the desired tenderness. Do not cover the pot, because you do not need to generate steam. The boiling water cooks the rice. Pour the rice and water into a sieve to remove the excess moisture before serving it. Keep the rice warm as it dries to enhance separation of the grains and minimize stickiness. Shake the rice in the sieve intermittently as it dries to remove excess water and separate the grains. Steamed rice also works well with stews and stir-fries with sauce, because the rice absorbs the sauces more readily. Short-grain white rice benefits from the steaming method, because boiling could result in excess residual starches that can make the rice appear mushy. Boiled rice is great for fried-rice dishes if you drain and dry it well. Leave it wet with some of the water you used for cooking it so that it will make a good porridge while retaining its nutrients. Boiling tends to reduce the nutrients in rice. To counter this, conserve the water you used for boiling the rice to incorporate in other dishes or to serve with the rice. Michelle Kwan has been a professional food, wine and travel writer for Gayot, an internationally recognized restaurant and lifestyle publication based in Los Angeles, since 2007. She also blogs for Culture Home, an online travel and lifestyle authority. She is based in New York City. She got her first taste for professional food writing as an incognito reviewer of corporate dining establishments. What Rice Takes the Longest Time to Cook?